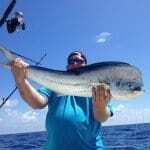 Marathon fishing charters veteran Capt. Dave Schugar is featured in the Sept/Oct issue of Sport Fishing’s “Expert Bottom Fishing Tips: 22 tips from top captains to increase your success fishing wrecks and structure.” See what he has to say about fall fishing in this month’s fishing report, or read his expert tip here. 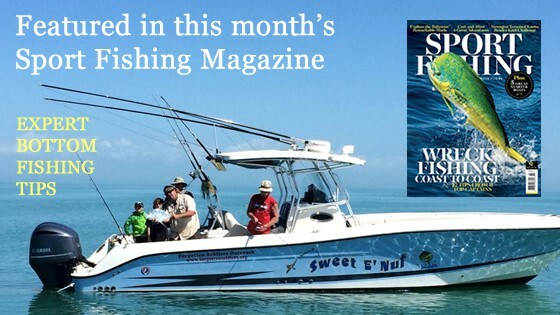 Welcome to Sweet E’Nuf Charters – your source for a quality fishing charter experience in Marathon, FL! From reef trips to offshore trips, night snapper trips, tarpon trips, and hump trips, Captain Dave Schugar will lead you on the perfect adventure aboard one of his Marathon fishing charters! Captain Dave Schugar, a lifelong fisherman and licensed Master Captain, offers custom charter trips to fit your needs and desires – whether you’re looking for a full-day or half-day charter, want to seek out a trophy Sailfish or have a relaxing reef trip, call Sweet E-Nuf Charters to catch fish and have a good time. At Sweet E’Nuf, our goal is to give you the best experience possible on your choice of Marathon fishing charters. Anglers of all ages and experience are welcome on all of our charters. We’ll take care of everything like rigging, baiting the hooks, and setting the lines and finding the perfect location. Our boat is also equipped with the best hardware available to help track down exactly the catch you’re looking for. An expert in both bottom fishing and sport fishing, Captain Dave Schugar has the knowledge and experience to help you catch Sailfish, Snapper, Mackerel, Tuna, Grouper, Dolphin, and more. If your goal is to catch a trophy fish, he knows the perfect spots in Marathon to look. Or if you prefer to catch-and-eat fish, our charter fishing boats will find the tastiest fish for you. Ready to plan your perfect Marathon fishing charter trip? Contact Capt. Dave Schugar today! 305-610-4778. Half-day trips are four hours long, and are usually either mainly around the reef, out 10-15 miles, or in the back country. These trips are perfect for families and people with busy schedules who still want to spend some time on the water enjoying the water and sun while they do some fishing. Our half day fishing charters are the perfect opportunity for kids to have a fun & memorable day on the water – we’ll take care of everything to make this the best fishing experience they’ve ever had. A full-day charter lasts eight hours and is the best choice for people who are serious about their fishing! This trip is the best way to wrangle the biggest trophies and the best catch-and-eat fish…because of Captain Schugar’s 24 years of experience, we’ll take you right where you need to go to catch the perfect fish. What do Capt. Dave’s customers have to say about their fishing experiences? Wreck Fishing Trips, or wreck/reef combo trips, where you can catch cobia, african pompano, amberjacks, jacks other, and giant yellowtails. 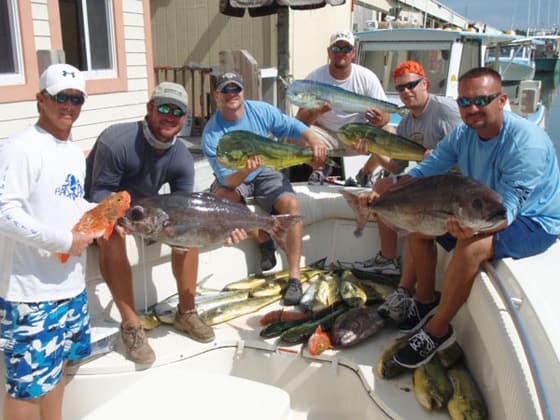 Hump Fishing Trips, to the “Florida Humps,” or underwater sea mountains. This trip is great for tuna, dolphin, marlin, gigantic sharks, and amberjacks, as well as deep drops for snowy grouper, queen snapper and tile fish. 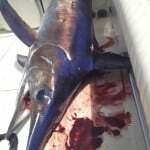 Swordfish Trips, during the day or nighttime, offering you to land a hard-fighting billfish just offshore from Marathon, with some of the world’s best swordfishing.